All I can say is I wish I had seen this for my book. This explains the concept around optimal nutrient level perfectly. The RDI's were set based upon (1) or (2) level of deficiency eg death or clinical effects. 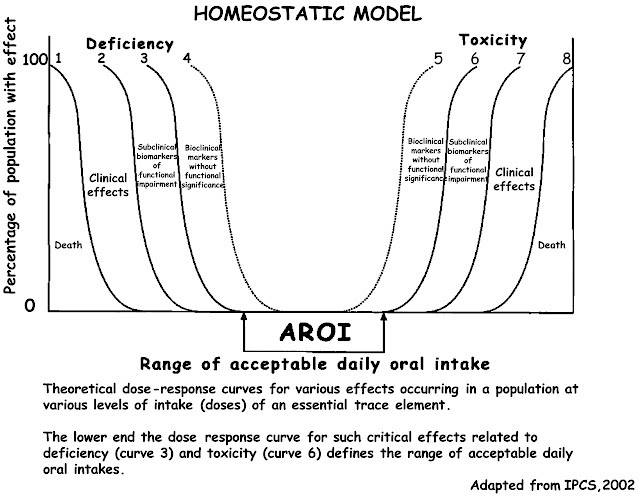 This is clearly significantly lower than for the AROI, or optimal dose. I should point out that this is a theoretical graph and there could be even a larger distance between levels (1) or (2) and the optimal level.